As I talk with clients around the country, I’m hearing quite divergent views of how business is going these days. The picture that emerges is something of a mixed bag. Some designers are keeping quite busy and have future projects lined up. Others are reporting a decrease in client requests and inquiries. Some of this appears to be sector-driven and some of it regional. What’s not clear yet is whether this is a temporary blip or the start of a general slowdown in the industry. By just about any measure, most firms on the West Coast are doing well. The thriving tech industry continues to create demand for commercial, residential and hospitality services. The San Francisco Bay Area, including Silicon Valley, remains the No. 1 area in the country in growing demand for multifamily and single-home housing and for luxury home sales. It is also one of the highest per capita income areas in the country, with a high concentration of millionaires and billionaires. Elsewhere in the West, Boulder and Denver in Colorado are experiencing strong growth and are among the top metropolitan areas for luxury home sales. Other cities booming due to their attraction for tech-oriented and entrepreneurial millennials include Austin, Texas; Boston; Washington, D.C.; and the Raleigh-Durham Research Triangle area of North Carolina. Detroit has rebounded as an option for those seeking a more affordable and less hectic urban experience. According to reports from the professional associations, activity has picked up considerably in the Midwest and Northeast in recent months. Along with Boston and Detroit, the greater Chicago area is a popular destination for those seeking an urban or exurban work/live/play lifestyle. In terms of states, in addition to California, New Jersey and New York, with their stable economies and communities, top the list. The South, which experienced robust activity in the first half of last year, cooled down considerably in the second half in respect to demand for design services and the luxury home market. However, the American Institute of Architects reported much stronger billings in the South for the month of January, which may signal a renewal of demand in the months ahead. 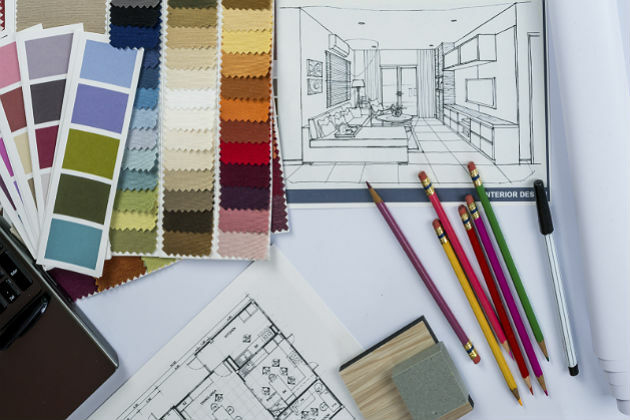 Across sectors, the American Society of Interior Designers stated that, in general, demand for residential design services softened substantially in the fourth quarter of 2018, probably due to the weak housing market and rising interest rates. So far, conditions appear to be more favorable for 2019, though that likely will vary by region. Industry experts are predicting another year of solid, but modest, growth for remodeling services, including designers. ASID’s 2019 Outlook and State of the Industry Report projects declining demand for most commercial and institutional services as growth in those sectors slows, although it foresees an uptick in hospitality projects. Healthcare activity should remain strong, but growth also likely will be slower than in the past several years as administrators and developers await more clarity as to what may happen to the nation’s healthcare system. To sum up, things are all over the map at the moment. It’s anyone’s guess at this point how any of these trends will play out. Several variables, including the global and national economies, could swing either way. Forecasts and trends can be useful reference points, but they are no substitute for good business planning. If nothing else, given the diversity and volatility in the current design industry landscape, it is especially important now to gather as much intelligence as you can about what’s happening in your area, your market segment, and your design specialty so you can prepare for whichever way the winds eventually blow.